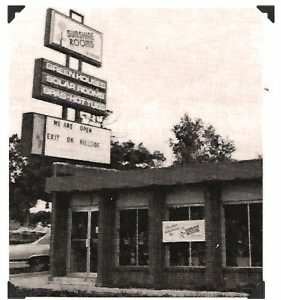 Wade Griffith started Sunshine Rooms in January of 1980. With residential sunrooms (actually solariums) as the core business, a working hot tub was added to a display for effect and the customer’s loved the idea. It was the perfect package: a solarium and hot tub together. Thus, Sunshine Rooms also became the state’s leading supplier of hot tubs and spas as well as the leading home glazed structure construction company. Working from a combination retail / warehouse space at 1001 E. Central in Wichita, KS, the business took off. Within two years sales had expanded to surrounding states. As the contractor and installer, products were purchased from the East coast and assembled locally. 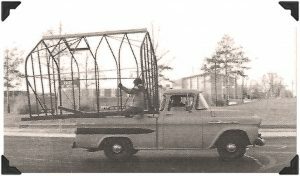 The quality was quite poor because the solariums were merely greenhouse kits re-purposed as low cost home additions. The logistics problems of shipping halfway across the country created ongoing challenges as well. In 1984 the decision was made to begin designing and manufacturing solariums at the company warehouse. And, to make sure he was able to devote the time necessary to the new manufacturing venture, Wade sold the retail spa and hot tub business to his managers. It took a full year to produce the first high quality solarium. From engineering his own unique designs to making the dies so he could produce his own aluminum extrusions, it was a long process that produced a strong, well-constructed solarium. The dies for the solarium extrusions were unique because of built in accessory and shade tracks designed by Wade himself. The accessory tracks allow lighting and plants to be hung inside the solariums without making additional screw holes or using additional hardware. These same aluminum dies are still in use today. Thanks to a good friend, Wade was able to set up full operations in a warehouse that was gradually leased a small section at a time as the manufacturing operation grew. Dealers were recruited from around the United States to help sell and install the residential solariums and business was good! During this time, Wade noticed that customers needed some way to shade the solariums which, in the early years, were made from clear glass. He devised a sunshade system that fit into the built in shade tracks. The “Comfort Glide” shades slid effortlessly up and down each window section providing just the right amount of light and sun. Because Comfort Glide shades were so popular, and since making the sunshades required a different type of manufacturing environment, Wade sold the rights to Comfort Glide shades to Thermal Designs – the sunshades are still made in the same way today. By 1988 sales had grown so rapidly that it was time to find a permanent place for the manufacturing efforts. 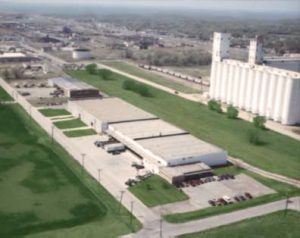 The solution came in the form of a vacant grocery warehouse in North Wichita. Wade was able to purchase the offices and warehouse at 3333 N. Mead, the present location of Sunshine Rooms and the commercial division, Crystal Structures. As the business continued to grow, Wade continued to strengthen the dealer network. As part of the growth, Sunshine Rooms purchased the assets of Solarium Systems International from the fortune 500 company Apogee Enterprises in 1991. The following years were spent building the company’s reputation as one of the premier suppliers of solariums. In 1994 all the hard work paid off when Sunshine Rooms was awarded the prestigious Wings of Wonder project, located in Winter Haven, FL by the Anheuser-Busch design and engineering team. From solariums and conservatories it was easy to see that the products from Wade’s company were built to last.The glazed structures were made from heavy, strong architectural extrusions that were earning praises from all the customers. The product base further diversified to include metal framed skylights, walkway covers and canopies, architectural grade greenhouses, pool enclosures, and conservatories. The foray into commercial projects paid off as Crystal Structures continued to grow into the new millennium. The Crystal Vue car wash was unveiled at the International Car Wash Show in 2005 as a new addition to the Crystal Structures (commercial division) product line. And as translucent polycarbonate glazing has become more popular, Crystal Structures has adapted the new glazing into their existing product line. Today Sunshine Rooms Inc designs, engineers, fabricates and installs just about any type of sloped glazing project. There have been over 20,000 projects completed across the United States and in several foreign countries.